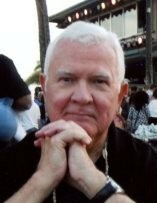 Peacefully, with his family by his side on Saturday, March 23, 2019, James Paul, age 80, of Kennedy Twp., formerly of Westlake Village, CA. Beloved husband of Kathleen Melia Weiherer and the late Sonja Weiherer. Loving father of Jeffrey ( Sandra) and Eric (Kinnary) Weiherer; proud grandfather of Tyler and Maximilian Weiherer; brother of Francis (Eileen) Weiherer. James was born in Pittsburgh, attending North Catholic and Duquesne University. He then moved to Los Angeles with a career in the aerospace industry, where he was a contracts manager with Rockwell International. James had a contagious smile and will be known for his kindness, caring and love for life. He enjoyed fishing, travel, flying in small aircraft and his rescued dog, Buddy. Private family viewing and a blessing service were held at the Hershberger-Stover Inc. Funeral Home, Crafton. Additional visitation will be Thursday evening at Pierce Brothers Valley Oaks - Griffin Mortuary, Westlake Village, CA with a Mass of Christian Burial in St. Maximilian Kolbe Catholic Church, Westlake Village, CA on Friday at 10:30 AM. Interment will be in Westlake Village, CA. NO FLOWERS, PLEASE. If desired, memorials may be made to Animal Friends, 562 Camp Horne Rd., Pgh., PA 15237.